Being young, in education and never been full-time employment. (yet) I have pretty much mastered travelling on a budget! I’m here to share my top tips with you! I have always stayed in hostels whilst travelling. Even if I did have some extra cash, I will always choose a hostel over a fancy hotel. You meet people from all over the world, they can be super homely, they’re soooo cheap and small family fun hostels are the most welcoming places ever! Isn’t this what you want when you’re travelling?! Where possible, search on Hostelworld.com or Hostelbookers.com and switch the filter to show the cheapest first! They’re really not as bad as what you may think! 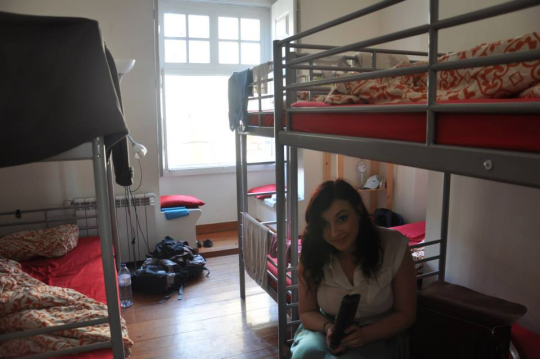 My first hostel experience was a lovely place in Lisbon called Destination Hostel in 2011. Granted it was quite pricey, £20 I think for a 7 bed dorm! This did include breakfast and the location was spot on. I returned to Lisbon a year later and stayed at a smaller hostel called Jonnies Place, which was no more than £7 a night. It really is worth looking around to get the best deal! 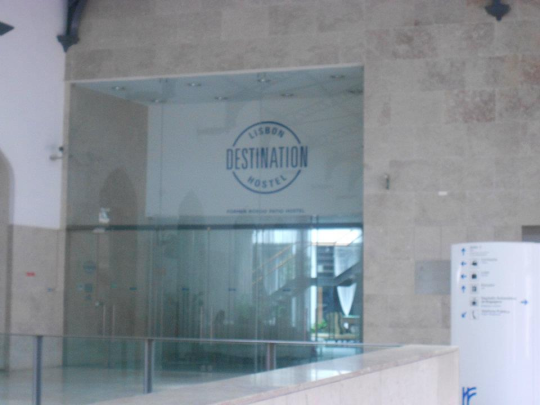 Destination Hostel, situated above the train station. It always helps to budget weekly or by destination. I learnt this the hard way. 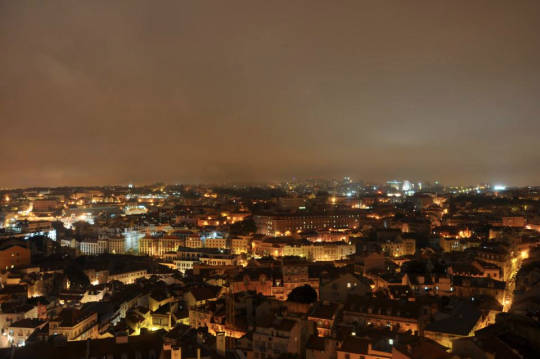 When Emily Rowe and I were in Lisbon, we went a bit mad with our euros, and as the weeks went on, we found ourselves with less and less money. To the point where we arrived to Paris with €5 to our name. Work out how long you’re away for, what you want to spend on food, attractions etc and if you stick within your budget, it’s such a weight off your shoulders! I literally cannot express how much I take advantage of free breakfasts! In my recent trip to Cambodia, it was our last day and we had nearly spent all our money so I filled my bag with bread rolls and fruit from breakfast so that I could have a filling lunch later on in the day! I ate so much too so that I wouldn’t be hungry quicker. It saves money and is convenient. It’s not embarrassing, it’s GENIUS. I always keep a jar in my bedroom where I put all my empty change. You’d be surprised how quickly the pennies add up. I then use this strictly for spending money. In my first year of uni, I managed to save up just over £100 in my jar. When arriving at airports, as convenient as it is to jump into a taxi to arrive at your hostel. It really is worth the research and time to take the public transport. There is always something available. 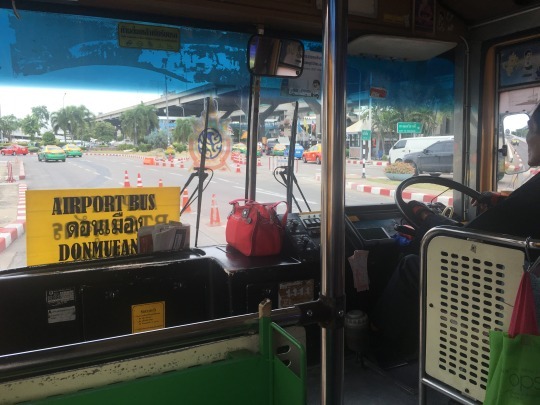 In Phuket, there were no public busses or trains to Patong Beach when we needed, however, there are shared minibuses which will save you about 600BHT. (A taxi will cost 800BHT). in Bangkok, A taxi to the airport for me was 500BHT, however, after looking into the everso convenient SkyTrain, I ended up paying 81BHT for a fast traffic-free route! I will always have an offline map downloaded on my phone prior to visiting a new place. 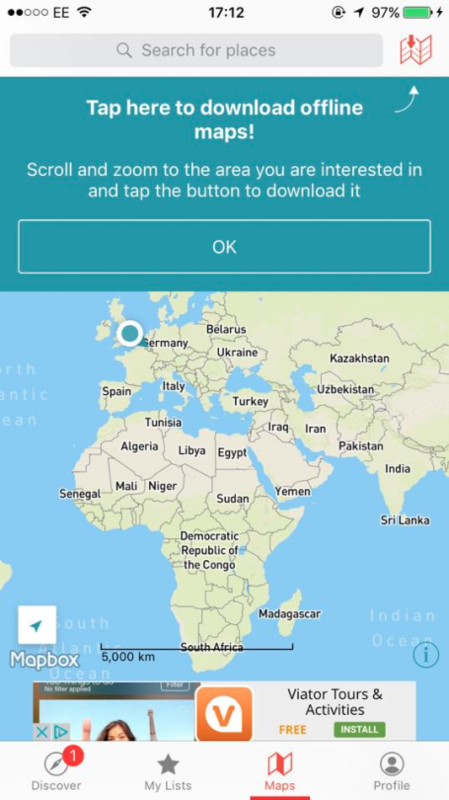 This will prevent you using data on your phone if you get lost! The maps I recommend are ‘CityMaps2Go’ provided by Ulmon. They’re the most reliable and have 100s of cities on there! I have always gone straight to Easyjet or Ryanair when looking to fly somewhere to Europe from England. I have never seen the point of paying double the amount for such a short flight to fly with someone like British Airways! Save that luxury for the long haul! Using websites such as Skyscanner and Cheapflights let you compare airlines, times and prices to get you the best deal! Try not to get your currency exchanged at the airport! They will always offer you the lowest rate! I always use my bank card to withdraw the local currency at an ATM. This does charge me £3.75, but I always make sure I withdraw enough so that I don’t have to pay that again. ATMs will usually give you the best exchange rate! This service is a great way to meet new people and to stick to your budget! It is literally what it says! It allows you to search for a free couch in the area for you to crash for the night. You can even register to become a host. In return it’s always respectful to offer something in return such as cooking, or teaching them something. 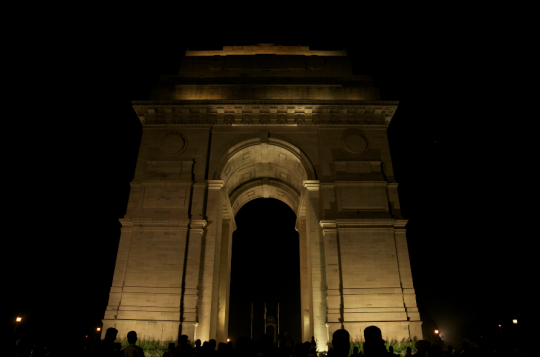 It really is a great way to explore the city, as living with a local, you will get the best out of the culture! A lot of major cities have one day a week where a specific museum may be free entry. We got free entry into Louvre. I’m not sure if the same system still runs currently, but for example ‘From October to March: access to the permanent collections is free for all visitors on the first Sunday of each month.’ So make sure you see if where you’re planning to go offers anything like this so you can save some money! Parks and viewpoints are always a great way to spend some time without spending money! If you’re a student too, don’t forget your student card! Pretty sure I’ve used it more abroad than what I have in getting discount in England! 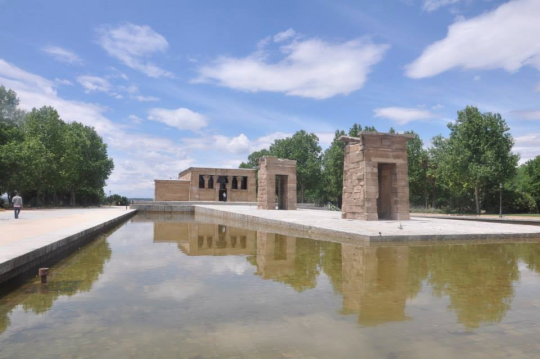 Templo de Debod, Madrid. Also free to enter! Doesn’t get much better! You see all the major sights, and it’s free! 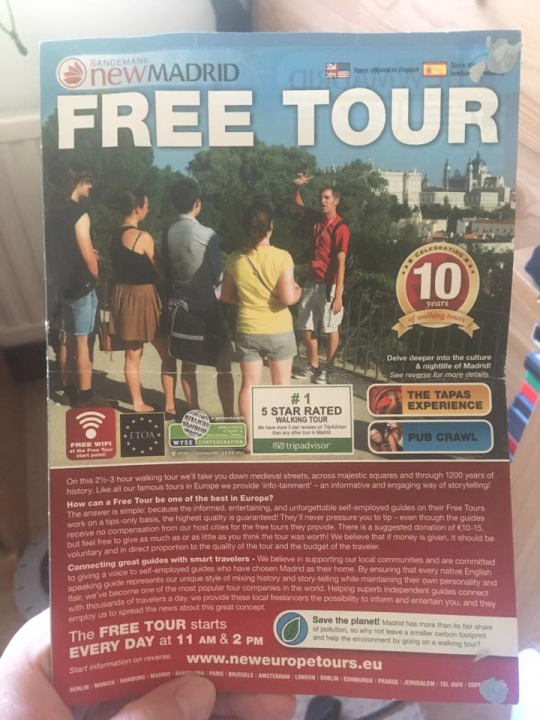 Most hostels will have information the local walking tours too if they don’t provide their own! Summer is always nice! Mainly for the weather. However, in terms of prices, It’s not the best time to visit. Lots of prices will rice and you can end up spending double the money. Off-Peak season will be much more worth it as it will also be less crowded!